Doesn’t that sound delicious? I think I’m going to create a Stampin’ Up! cookbook using color names! I’m a little late to the Doily bandwagon but I’m on board now! 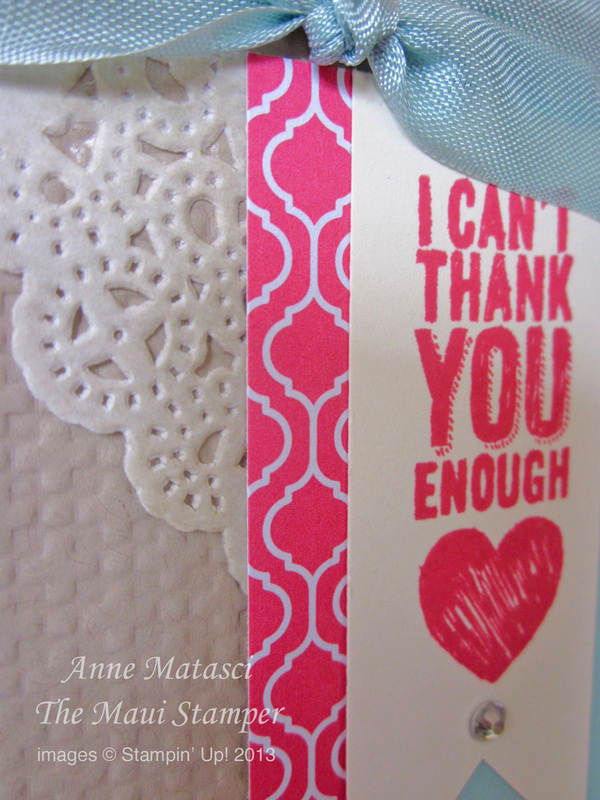 Once I realized how easy it is to add some color with a Stampin’ Sponge I was sold on this flirty embellishments. This is another card we’ll be making on Saturday (June 1st!!) after the “Out with the Old, In with the New” Open House at the Maui Masonic Lodge. Sale begins at 9am, class is at 11am. Come see for yourself!